India seeks to work out mechanisms to finance projects and establish close ties with the BRICS New Development Bank as a priority during its presidency. Among India’s priorities during its presidency of BRICS will be to establish mechanisms for cooperation and financing of projects by the BRICS Development Bank, said Onkar Singh Kanwar, Chair of the BRICS Business Council’s Indian Section. “So far, cooperation with the new Development Bank has been very limited, and it is necessary to intensify this work. Our priority will be to focus on the development stages of projects in our cooperation with the BRICS Bank. Here we are talking about establishing a mechanism for this cooperation,” said Kanwar during a meeting of the BRICS Business Council. 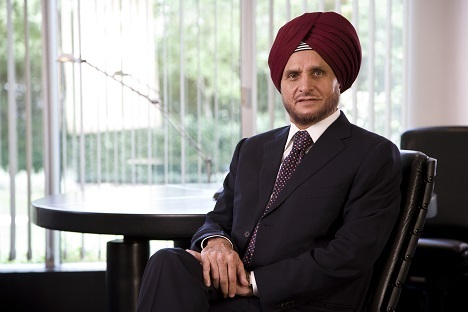 Kanwar said India, during its presidency of BRICS (Brazil, Russia, India, China and South Africa) and the Business Council, will seek to “ensure an inclusive approach, and work together with all the working groups within the Business Council”. “The business community is destined to make a major contribution to the rapprochement of our member countries. We need to coordinate our activities with government priorities, and to work closely with the respective governments. It is also important to implement the projects that have already been undertaken by BRICS; in particular with regard to financial services,” he said. The New Development Bank (NDB) was created by the BRICS countries in July 2014. The bank headquarters are located in Shanghai and began functioning under an Indian CEO, K.V.Kamath, in September last year. The amount of paid-up capital is $10 billion (contribution of each of the five countries – $2 billion) and subsequently, if required, this corpus amount can be increased by $40 billion. The highest possible capital plank has been set at the level of $100 billion. The main objective of this bank is to finance infrastructure projects in the BRICS countries, as well as other developing countries. First publihsed in Russian by RIA Novosti.